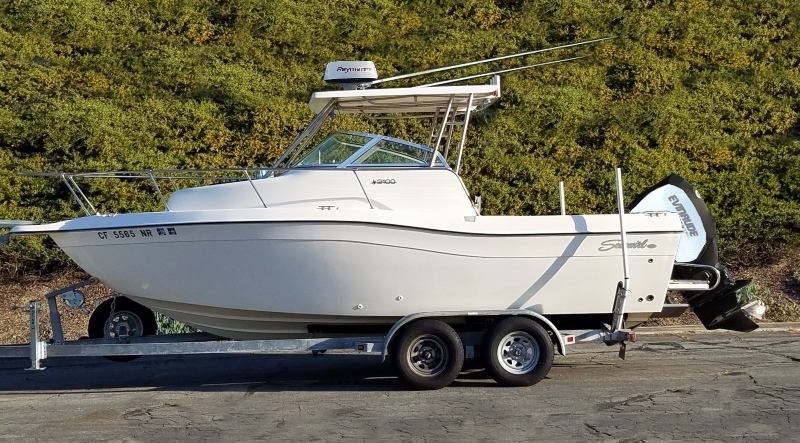 I recently received a message from a reader telling me he had upgraded his marine electronics to a fish finder with side vision capabilities, installed the Navionics chip, taken the boat out to target rockfish and came to the realization that, “I had no idea what I was looking at”. 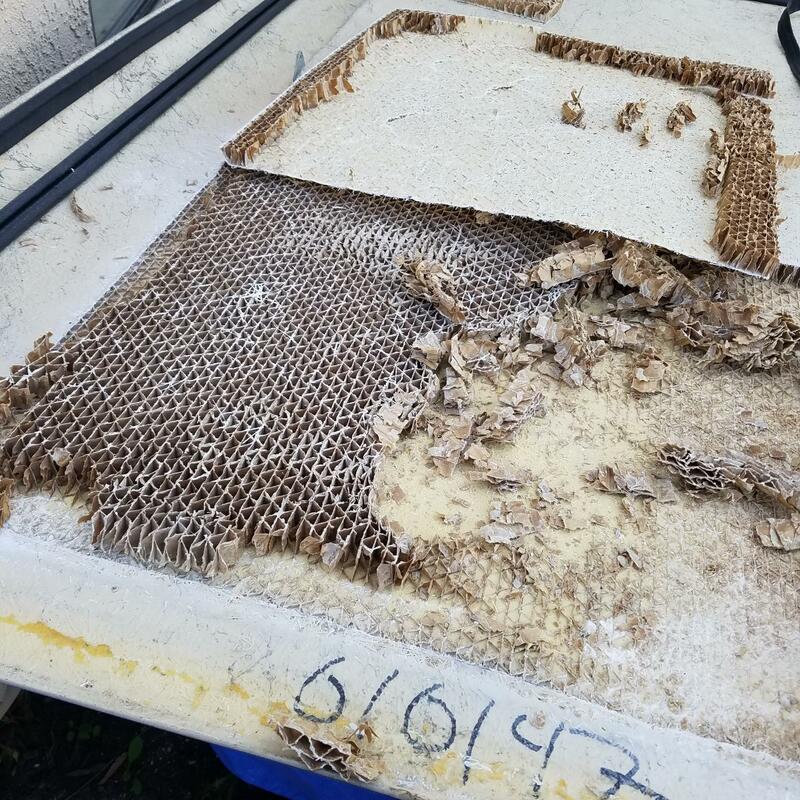 While today’s technology makes it easier than ever to find good fishing spots, the advancements are significant enough that it’s not a simple learning step to go from the old way of doing things to the new. Hopefully this tutorial will help bridge that gap and cut down the time it takes you to get dialed in with modern marine electronics. 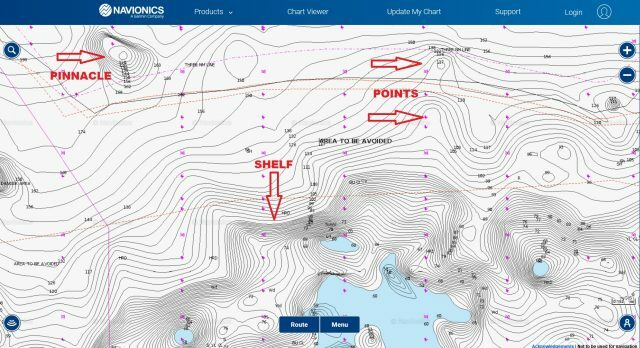 The chart above is a screen shot of the the Navionics Chart Viewer web app showing the waters off Santa Rosa Island. This is the “Sonar Charts” view that shows contour lines, which are lines indicating depth changes. The closer the lines are to one another, the more dramatic the depth change. I’ve indicated several common topographical features that are know to hold fish. 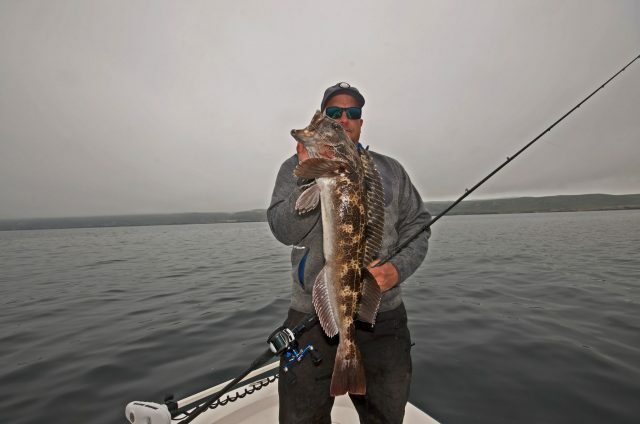 For rockfish and lingcod, finding good fishing spots means finding hard bottom. The pinnacle is probably the most easily identified and will always be associated with hard bottom. Next up is the shelf, which depending on how steep it is might or might not be associated with hard bottom. The closeness of the contour lines on this shelf indicate that it is hard bottom because it is very steep. Finally, I’ve indicated two points. The arrow below the word “point” indicates a gentle point, which may or may not be associated with hard bottom and the one above indicates a sharp point which will always be associated with hard bottom. This photo shows how close contour lines relate to a dramatic drop off. In this pic the bottom dropped over 100-feet vertically over a distance of less than 500-feet. 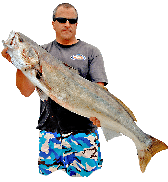 Once you’ve located an area with hard bottom, you’re going to need to look around for structure, bait, and finally fish, to know that you’re on one of the good fishing spots. I made this video showing my marine electronics and how to prospect around hard bottom. The video was shot at Santa Rosa Island but the basics apply everywhere. Glare and camera angle makes it kind of tough to see the side vision so here are some pics from different trips that show what things look like on side vision. 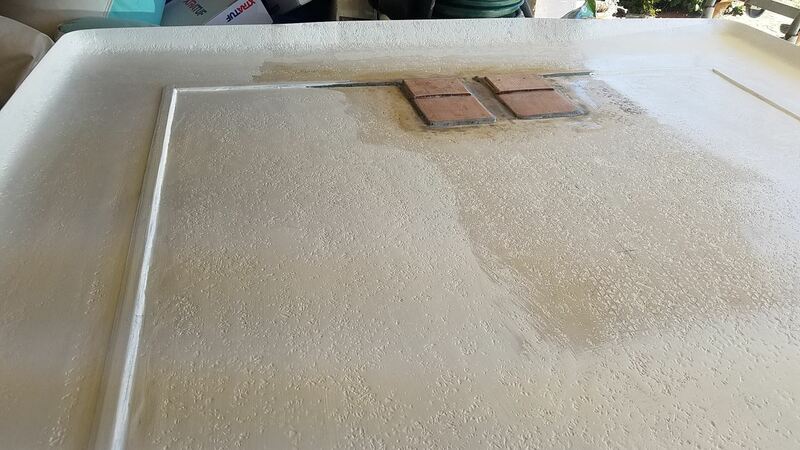 This pic shows what hard bottom with low relief structure looks like on the side vision (right side of screen). 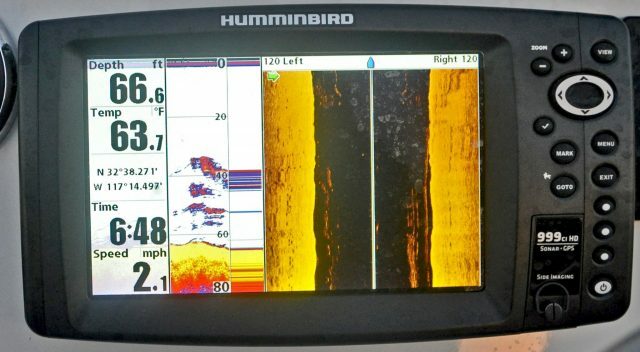 The Humminbird unit is set to scan out to 120-feet on each side of the boat and is showing a large area of hard bottom with some minor relief and scattered bait schools. The white line running down the center of the right side of the screen is the boat. The black area on either side of it is the water and the yellow areas are the bottom. 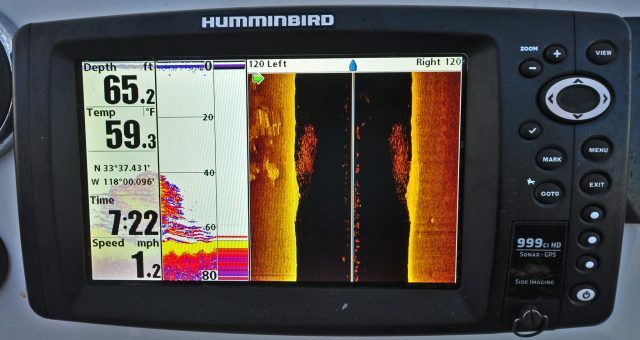 Marine electronics can be key to finding new fishing spots. It’s important to understand that you aren’t looking at a snap shot of what’s under the boat like you are with your up and down fish finder. 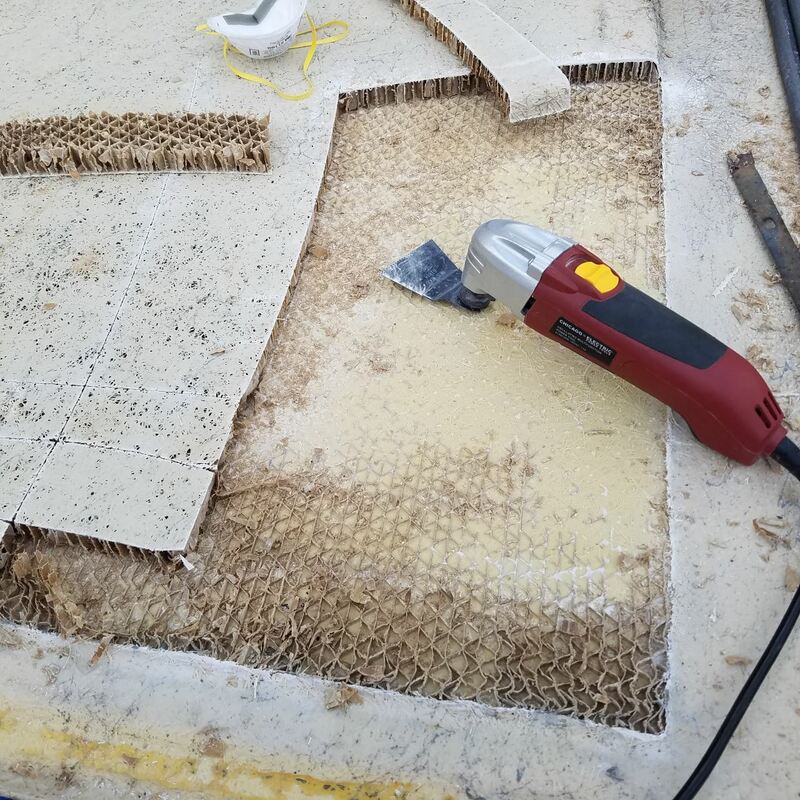 You’re looking at a 3-dimensional wedge that shows everything withing 120-feet of your boat from the surface to the bottom. 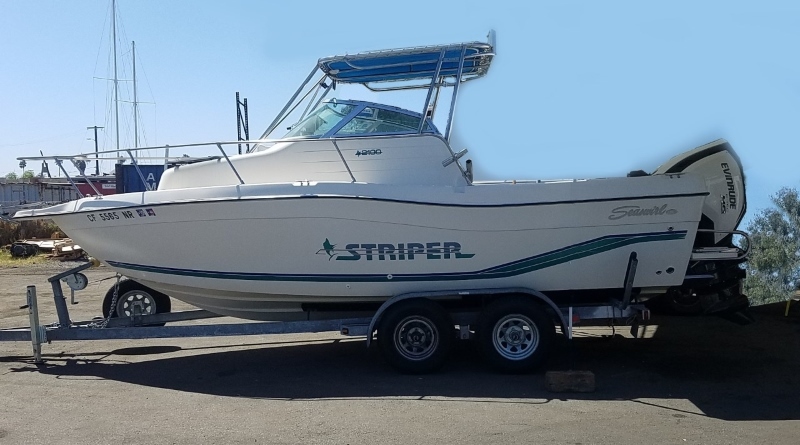 Imagine if you tied a 120-foot long string to your boat, stretched it straight out from the side of your boat and then brought it down in an arc until the end of it was straight down under the boat. Everything within that arc is going to show up on your screen. The problem is that the image isn’t 3-dimensional, it’s a 2-dimensional composite image so you’ll need to interpret depth and distance. Starting at the center line and working out, this shot shows scattered suspended bait fish on both sides of the boat, these were mackerel that we were snagging off San Diego. Below that you can see that the bottom is a bright yellow. The brighter the bottom the harder it is. You can also see irregular streaks in the yellow. These indicate bottom irregularities. 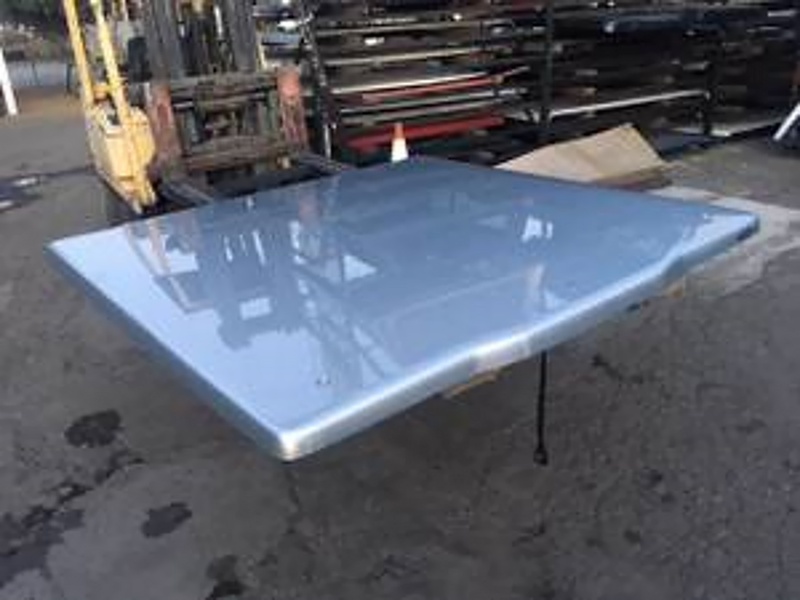 Since these irregularities reflect the sonar signal, they will have a shadow behind them (dark edges on the sides away from the boat center line). The higher the relief, the bigger the shadow behind it. Most fish finders these days allow you to run your side vision at different ranges. 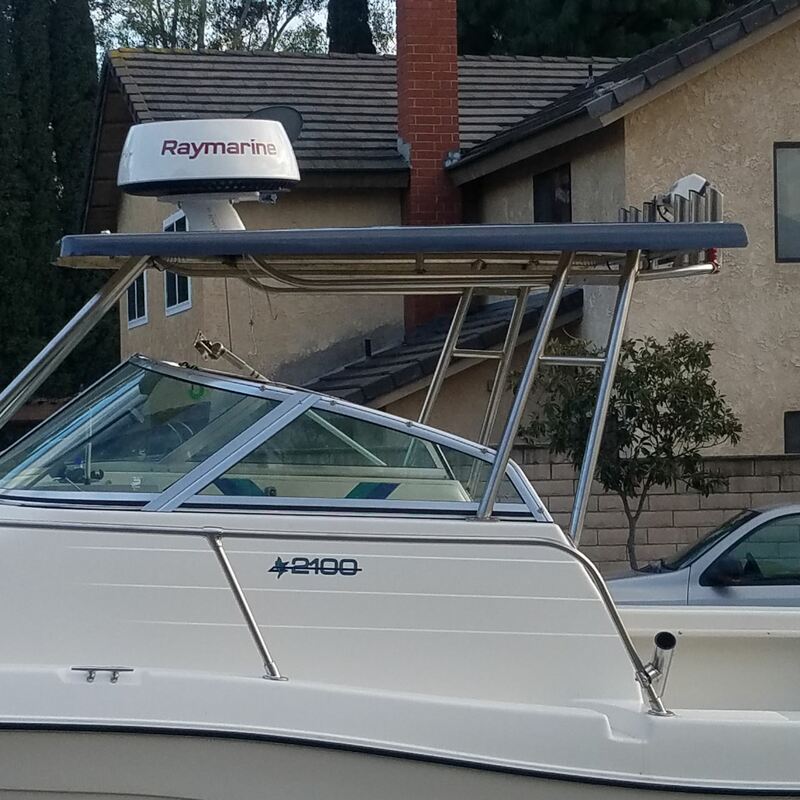 The one on my Raymarine eS98 runs out to 1200-feet, but I’ll normally run it at two to three times the water depth. Any farther than that and the image gets too dark, any less than that and you won’t be covering enough water. 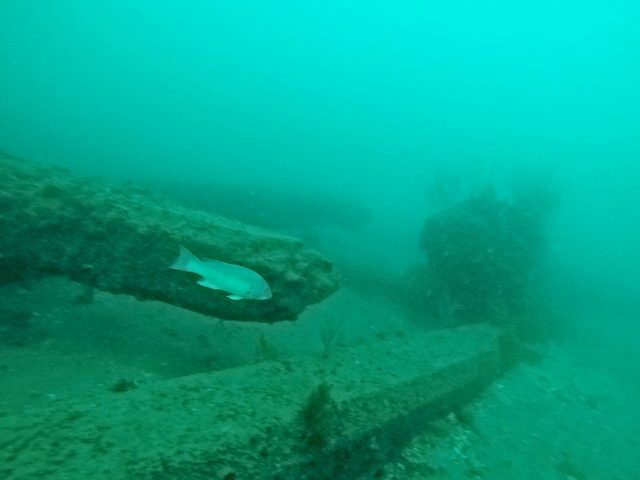 Where the previous image showed a bright yellow hard bottom, this one shows a dull yellow sandy bottom with spots of bright yellow reef and suspended bait and perch. 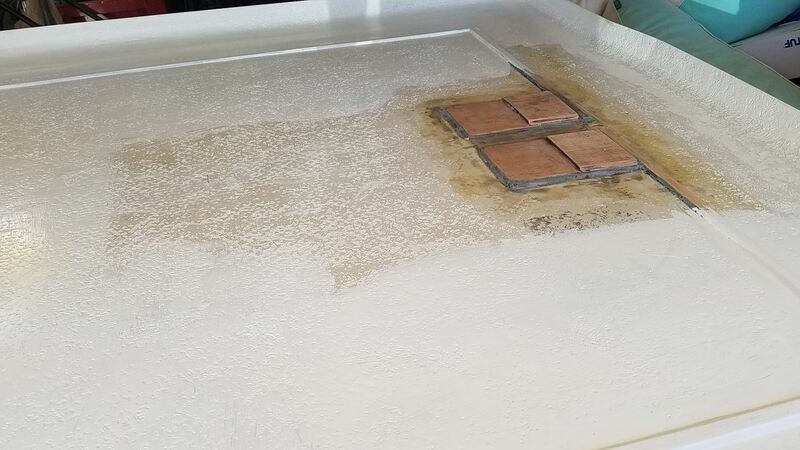 The right hand side of the boat shows a soft sand bottom while the left side shows scattered structure that’s indicated by the bright yellow irregularities. I had just run directly over the spot, so you can see the relief and suspended bait on both sides of the center line. This image shows a reef with submerged kelp stringers on it. Starting at the centerline and working out, you can see the kelp stringers coming up off the bottom and laid at an angle by the current. Below that you can see a very rocky bottom with the black spots indicating shadows coming off big rocks and boulders on the left side of the boat and you can see an extended ridge on the right hand side of the boat. There are hundreds of variations to these basics that you’ll encounter while fishing. 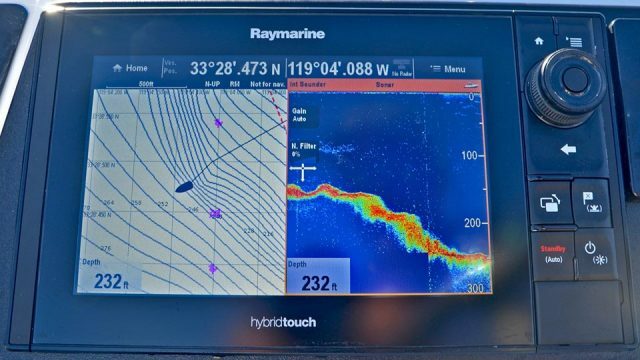 Once you get a feel for how things lay out on your graph, you’ll be able to find good fishing spots much more easily, and you’ll never be left scratching your head and wondering what your marine electronics are telling you. Much more from Erik Landesfeind on BD.